Muttahida Qaumi Movement (MQM) Deputy Convener Farooq Sattar on Monday challenged the process of collecting affidavits from members of elected assemblies by the Election Commission of Pakistan (ECP). The ECP had warned all lawmakers on October 9 to submit declarations stating they do not hold dual nationality – else it will be assumed that they possess citizenship of more than one country. 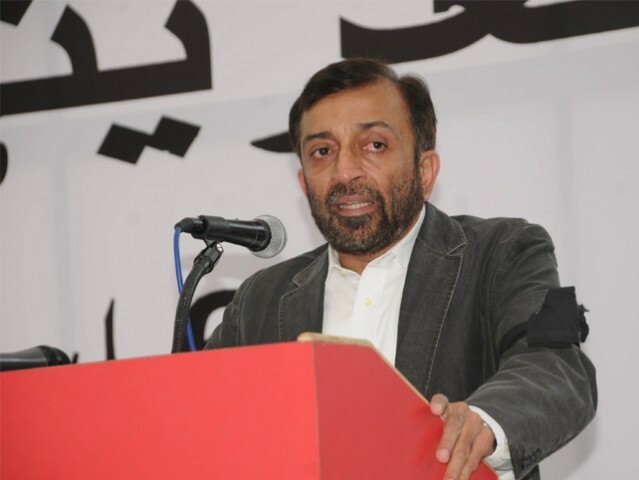 According to a press release, Sattar has challenged the process in the Karachi Registry of the Supreme Court. He has sought a stay order by maintaining that the process of collecting affidavits is ultra vires (beyond power). Under Article 63 (1) (c) of the Constitution, a person is not eligible to become a member of parliament or a provincial assembly if he or she possesses any foreign nationality. The constitutional provision was not adhered to till recently, when the Supreme Court disqualified 11 lawmakers from different political parties adjudged to be dual nationals on September 20. What will be the procedure to screen traitors or foreign agents under the shield of dual nationality?or know their assets and how these are made? ?